Flower. 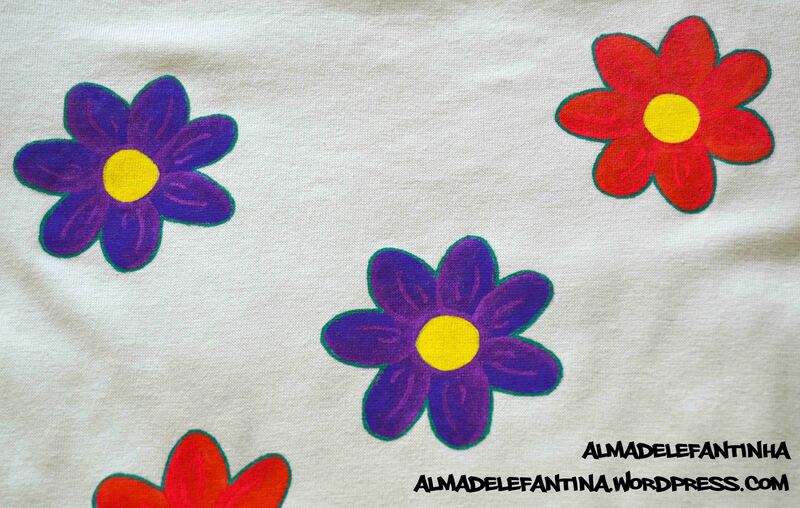 Shirts handpainted by Almadelefantinha. size 10 girl. 47.5% cotton, 47.5% polyester and 5% spandex. 37 cm wide x 41 cm long. 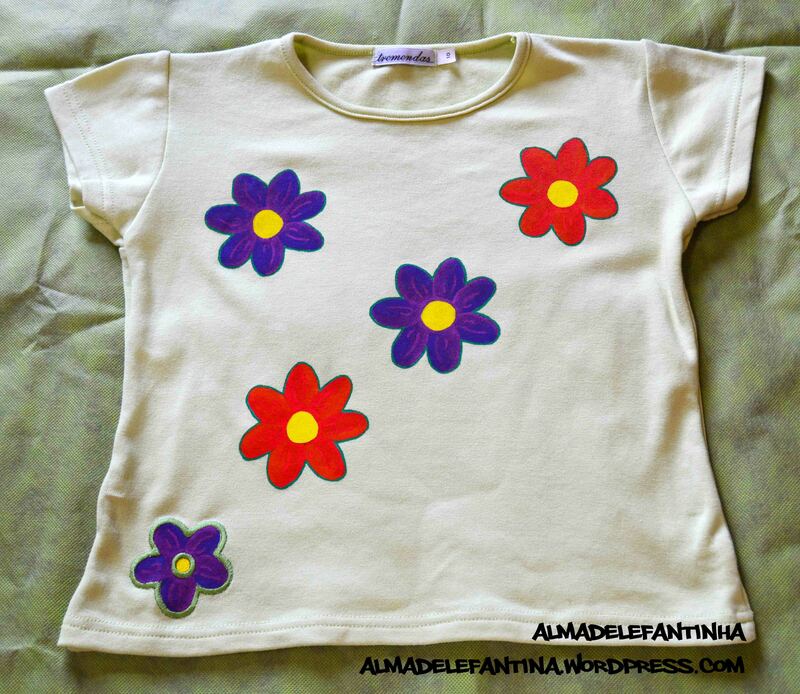 Hand made, with paint special for clothing. Avaliable for 7€.